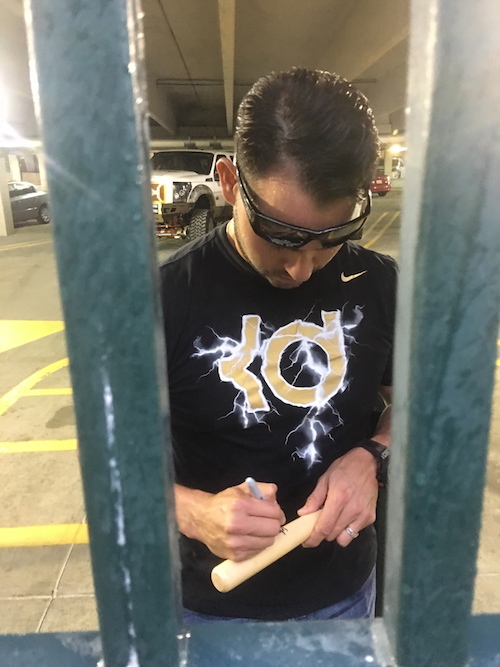 Recently, iFolloSports.com Michigan based correspondent Lance Martinez provided this original photo of Tigers pitcher Anibal Sanchez signing autographs. This scene took place after a game at Comerica Park, in the Tigers team parking garage. Sanchez, who began his career with the Marlins, is now in his 11th MLB season and fifth in Detroit. The Venezuelan has put together a solid career, posting an 84-82 record, with a 3.82 ERA. Sanchez’s best season came in 2013, when he went 14-8, with an outstanding 2.57 ERA and 1.15 WHIP. Tigers fans can also view several other behind the scenes original stories, chronicling the team over the past few seasons.